United Airlines has been an official sponsor of Team USA for over 30 years, so we created a campaign that ran during the 2012 Olympic Games. The full campaign included digital, social, TV, print, and OOH. 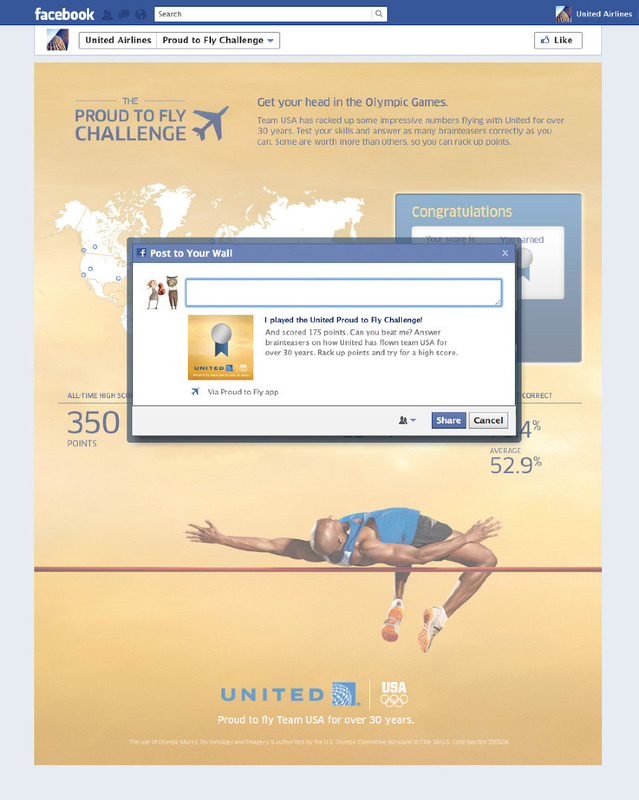 To create excitement and engagement leading up to the Olympics, we created the "Proud to Fly Challenge" on Facebook. We encouraged people to test their knowledge of both the Olympics and the cities in which United flew Team USA over the years.